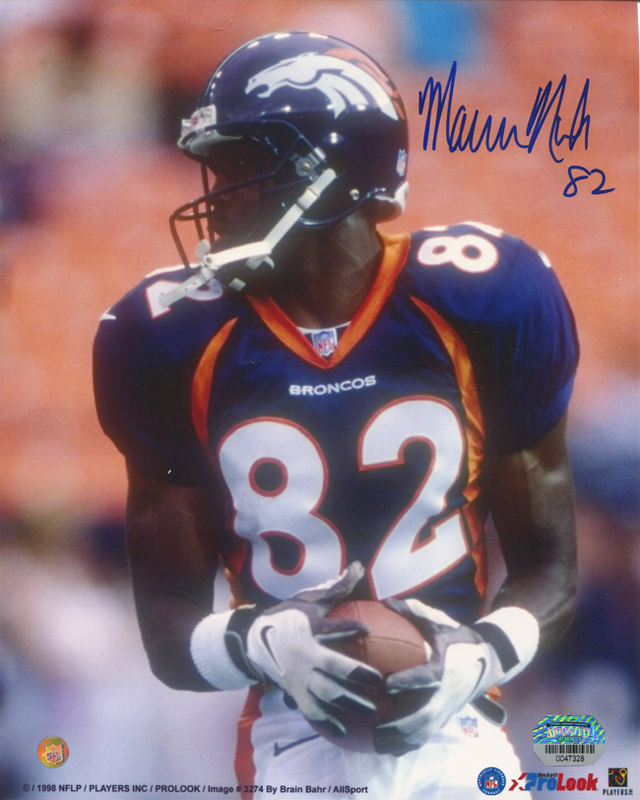 These Denver Broncos 8x10 photos have been personally hand signed by Super Bowl XXXIII Champion Marcus Nash. Each autographed photo includes authentication from Mounted Memories. Marcus Nash is a former wide receiver who was drafted in 1998 by the Denver Broncos. He is a 2x Super Bowl Champion and was the 2004 AFL Offensive Player of the Year.